What is an Easement and Why Should You Care? 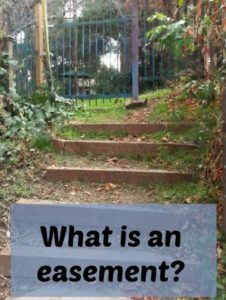 What is an easement? In a nutshell, it is the right to use someone else’s property for a particular purpose. The most common types of easements in Silicon Valley are ones we can’t easily escape: they are for power, water, perhaps phone lines. The utility companies have a right to go onto your land to get to the power or telephone lines in your backyard. They have a right to go there and do not need your permission, generally speaking, if the need arises. Pacific Gas & Electric can trim the trees under the power lines with or without your permission, but they will notify you that they are doing it. Unless it’s an emergency, the utility companies don’t go on your property without advance notice. For the owners of townhouses held in PUD ownership (not condo), the land on which the townhouse sits is owned and not just the airspace inside the unit. If there are private driveways to get to the home, normally that access is via an easement that the townhome owner has over the other parcel (the private driveway). For instance, the right to use a driveway or private road from one parcel to access another might be a great convenience to the person who wants the easement (it might be a much shorter route home than another alternative, or it may be the only possible access to that land). The Santa Cruz Mountains and the hilly areas of Los Gatos and Monte Sereno have many areas where this type of easement is in use. With shared driveways or private roads, there is normally a private road agreement in place to spell out how repairs are paid for and by what percentage. Some communities collect money annually to fund these driveways or roads, and others do not. In my career, I’ve seen odd easements. The strangest one was allowing a neighbor to place an above ground pool on the next door neighbor’s property. When buying or selling a home, easements will be listed on the preliminary title report. Normally these are simply the utility easements. Not every easement is recorded, though, so do not rely on the preliminary title report for assurance that there are no easements. Home or landowners must pay attention to the use of the land and be aware of any risk of the formation of prescriptive easements. Home buyers should check the land too and see if it appears that the property is being used by others. Some title companies will automatically provide a color coded easement map. If you feel you aren’t sure about your home’s easement situation, you can request this. With complicated easements, it can be a big help to get a general sense of where the easements are located. Below is part of a color coded easement map – there would also be a “key” telling you which color is for what type of easement. Seen on Village Lane, Los Gatos, an effort to prevent a prescriptive easement from being formed. A “prescriptive easement” is one that happens by accident as far as the landowner is concerned. In this case, others openly and notoriously used the property owner’s land without interruption (as a shortcut, a driveway, etc.) for a period of years without the owner objecting or preventing that use. Eventually, the right to use the land for those purposes can become permanent. To form a prescriptive easement, the use must be open, notorious, for a period of years, and uninterrupted. Near Village Lane in Los Gatos, there are some shops that sit along a walkway between Village Lane and the public parking lot (in the old train line area). 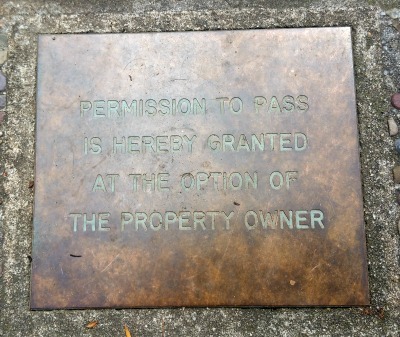 The owner of the shopping center has placed a plaque in the aggregate walkway to make sure that the visitors know that this access is by permission (intending that it can be revoked at any time). This is important to keep the future use of that land in the owner’s hands. Imagine if in the years to come these owners wanted to tear down the current buildings and put in one large two or three story building with no walkway between Village Lane and the parking lot. Could the public object to the removed access? Perhaps. Will the notice in the ground prevent that from happening? That is up to the attorneys and judges to decide. 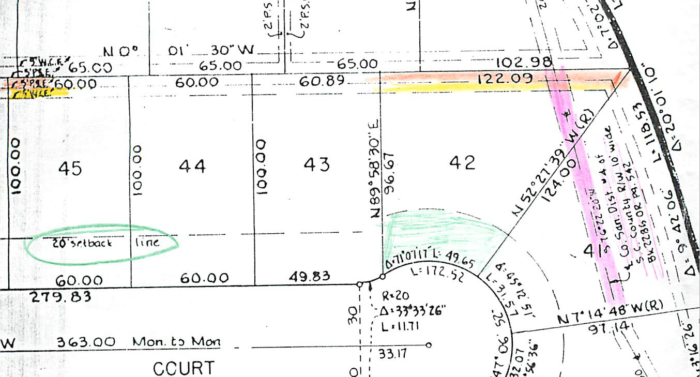 If the homeowner of Lot B did not object, but allowed the folks in Lot A to go through their gate and onto the land of Lot B for a period of time, it would become a prescriptive easement. What to do? The only thing to do to prevent the prescriptive easement being formed is to object and to request (insist upon) the gate being removed or rebuilt such that no one had to cross onto Lot B anymore. Hopefully that would not require legal action. But to allow someone to cross your property without objection for a period of years is to invite the formation of a permanent prescriptive easement. Could anything be worse for a homeowner than a prescriptive easement? Adverse possession happens when a prescriptive easement is in place AND the person trying to gain access of the land permanently also pays the property tax for that parcel for a period of years. It is a legal way to take someone else’s property in California. Have you ever noticed the Verizon Building on Los Gatos Boulevard? It has an architectural style that screams “1960’s” with apparently no windows facing the front but a strange sort of grille decorating the facade instead. 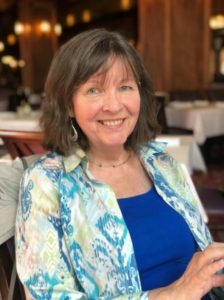 It backs into one edge of Blossom Manor (a neighborhood in Los Gatos – well, mostly in the county but with a Los Gatos mailing address – that was once apricot orchards). Verizon, with its huge network (I’m assuming you’ve seen the ads), needed more space and wanted to do an expansion on the current site. The neighbors didn’t agree that this was a good plan. The result: the Town of Los Gatos is going to buy the property from Verizon, for $3.2 million, and it may well become the new police headquarters. I’ll keep you posted!